Use to attach .580 mainline drip tubing, or soaker hose to a hose bib, spigot, hydrant, faucet, end of a garden hose, filter, pressure regulator, etc. The swivel end screws onto male hose threads. The compression end accepts hose with a .580 outside diameter. Screws onto all of the other 580 fittings that have male hose threads. Great for people with arthritis, once the hose is put into the compression ends, just simply unscrew them to take apart. Instead of trying to pull tubing out of a fitting. 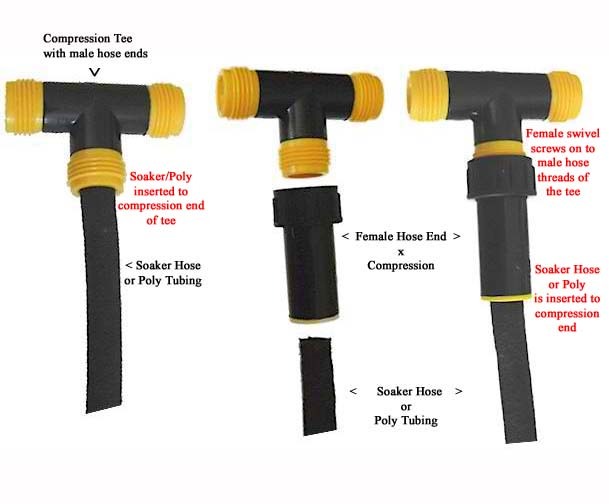 Using the #109 Female adapter and screwing it on to your tee, coupling, elbow or in-line valve and then using the compression end (of the #109) for your soaker hose or poly tubing, it allows you to easily disassemble your system. 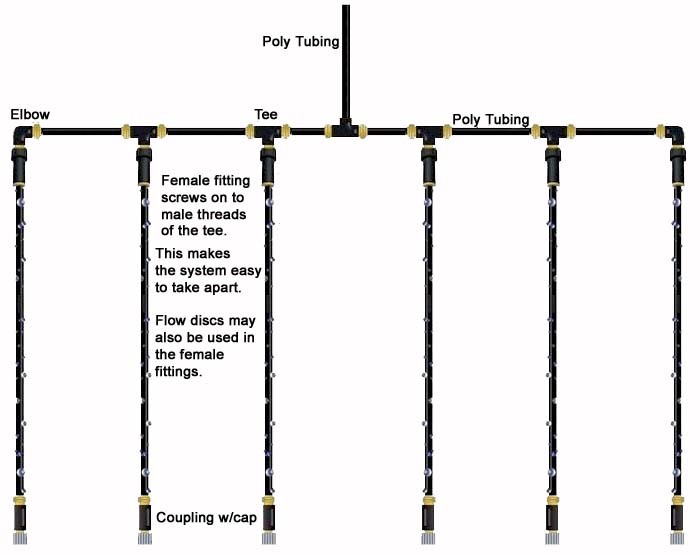 Instead of just using the compression end to attach your tubing, as shown in the first photo in the diagram to the left.